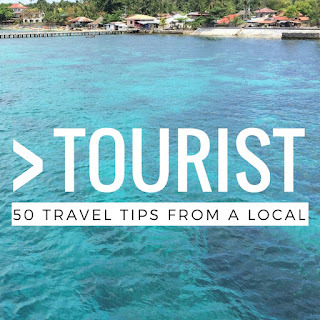 I have now finished starting a new book series called “Greater Than a Tourist” – 50 Travel Tips from a Local. There are over 75 books from over 30 countries available. Each book is on Amazon in Paperback and ebook format. I have really enjoyed working with writers from all over the world. I hope to expand the series soon. Traveling is a passion of this series creator. She studied abroad in college, and for their honeymoon Lisa and her husband toured Europe. During her travels to Malta, an older man tried to give her some advice based on his own experience living on the island since he was a young boy. She thought he was just trying to sell her something. When traveling to some places she was wary to talk to locals because she was afraid that they weren’t being genuine. She created this book series to give you as a tourist an inside view on the place you are exploring and the ability to learn what locals would like to tell tourist. A topic that they are very passionate about. Please leave your honest review of this book on Amazon and Goodreads. Thank you. We appreciate your positive and negative feedback as we try to provide tourist guidance in their next trip from a local. You can find Greater Than a Tourist books on Amazon. Each book is on Amazon in Paperback and ebook format. This entry was posted in Travel Tips, Uncategorized and tagged >Tourist, greater than a tourist, travel, travel blog by lbrennec. Bookmark the permalink.